Since Lee Miller and Audrey Hepburn, we have heard about modernism and innovation in the fashion industry. Today, these buzzwords mean more than just adding a colorful print to bright pair of velvet knee-highs or reintroducing the eighties bellbottoms. We are seeing a number of figures: designers, writers, influencers, and models alike testing the boundaries of what fashion can and cannot do. There are curves in photoshoots, neutral gender clothing strutting down the catwalk, and fashion brands that are directly targeting some of today’s most trending social issues swarming our Instagram feeds. Fashion is shifting and reemerging as a platform for representing all. It is redefining itself into a space where individuals from all races, classes, and value systems have a place. Meet Katie Sturino, Blake Von D, Maya Monès, Kathleen, and Sinéad Burke. These women have advocated this new evolvement in the fashion industry and have even gone on to lead some new niches, transforming the face of fashion and reshaping its future. Determined to make a lasting change in the industry, these women are five among many others who have encountered a host of challenges through their careers, but in that, have worked hard to launch their own brands, and in effect have given other women a platform onto which they can feel equally represented. 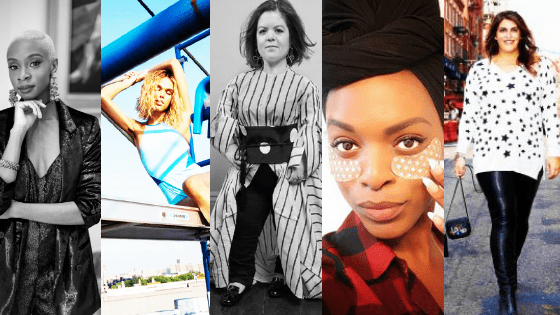 These women have cultivated a new culture and have launched brands that are not only accessible to all females, but are also beautiful, and every woman deserves to feel beautiful, both inside and out. Today, The 12ish represents a body-positive community where acceptance, internal and external beauty, and self-love is created and fostered amongst women of diverse backgrounds and body types. On this platform, size sixteen moms with four children have learned to love the way their body looks in a bathing suit, have sworn confidence to wearing jean shorts and white t-shirts, and strutting through the gym without feeling out of place in their element or as though they are being mocked for their size fourteen lululemons and plus sized sports bra. Women have felt confident to step away from toxic relationships without feeling at fault, and have gone on to lead happier, more fulfilling lives, with a solid and supportive community that The 12ish undeniably offers. Katie has since founded a PR agency, Tinder PR where she brings fashion enthusiasts to an insider space about emerging styles, designers, and the colors of the season. Using the online space to showcase her love for fashion, traveling, and home decor with impressive partnerships with some of the biggest names in the industry today – Armani Beauty NIKE, Katy Perry Fragrances, Ralph Lauren, St. Johns, Rachel Zoe, Z Gallerie, and American Express – at only 31 years old, Chicago based attorney Blake Von D has used her talent for content creation to unify her passion for law with her engagement in fashion. Like many millennials today, as a young college student in 2008, Blake walked through her early schooldays unsure where to go next and where her choices would take her. The blogging community represented an outlet for her. On signedblake.com she directed her concentration to empowering women to look and feel their best through her stellar fashion photography posted alongside quirky quotes encouraging females to be themselves, whatever that entails. The site quickly became a popular hangout for girls online to share their love for style and follow the life Blake from her life as a brainy law student at Tulane University to a representation of beauty and self-worth as woman of color. The chic blogger and Instagrammer’s penchant for bold prints, spontaneous outfit pieces, and daring colors has earned her a place among one of the most followed Instagram pages where viewers easily find themselves swimming into a beautifully curated feed with perfect backgrounds, free spirited travels, and yummy treats. For her original style and memorable personality Blake has been featured in a number of our favorite publications including ESSENCE.com, Fashion Bomb Daily, Black Enterprise and Refinery 29 to name a few. The superstar street stylist has also become an ambassador for brands like L’Oreal Paris and Shoedazzle, spreading the Chicago-local’s influence from coast to coast from the City of Angels to the Big Apple across America. The very epitome of strength and evolution, Maya Monès brings hypnotic energy and entrancing charm to any catwalk. As a transgender woman of color, the model has married her visible social media influence to fashion, using the spaces to help women find a place in the world; to accept themselves and embrace their bodies, values, and what they choose for it to resemble. The model’s unbeatably loud entrance into the fashion world resembles the transformation in the fashion industry that is becoming more accepting as groups of resilient figures have made their marks, proclaiming a space that speaks to their bodies, beliefs, and faiths. As of 2017, Maya Monès’s impact over the industry has become more pronounced with her stomping of the illusion of gender separation with a fundraiser for Facial Feminization Surgery (FFS). This engagement comes out of a deeply personal space in Maya’s adolescence when her body went through a male transformation that she could not prevent, and had to suffer through. Feeling lost, being born into a body she was against, Maya sunk into mental and emotional distraught , yearning for a means to pick herself pack up and move forward into the body she felt was being buried inside of her with no way out. FFS has offered Maya the opportunity to give back to her body the agency that she thought, as a child, was unachievable. It has since ensured Maya’s place in the industry as she reclaims her mental, emotional, and physical safety – an incredibly inspirational step in the pursuit of self-acceptance. When the New York goddess is not modeling some of today’s sexiest slit skirts or pastel swimsuits on building tops, she DJs under the name brOnz3_gOdd3ss. She has released a number of empowering videos reflective of her motivation and inspiration by transgender women around the world. Her discwomen mixes are dedicated to trans femmes of color, resembling her colorful spiral to success and how she fought to jump towards a future that will forever change the rules of the catwalk. Today, Maya has walked in a number of shows and is an empowering figure that has been featured in brands including Chromat. Her confidence is backed by her accepting family and the love they have given to her as her choice to become transgender. We watch her career thriving, with a promising future. She has fought for space in the fashion industry that we never before though could exist, and in that, has taken down the veil of impossibility, revealing a transformative, self-accepting new streak in fashion. Scrolling through @consciousandchic on Instagram, it is sinful not to feel that happy glow blooming in the pit of our stomachs that often resonates in our bodies after experiencing a truly happy moment. Defined as being synonymous to eco, thrift, vintage, charitable, local, or fair trade, the brand advocates ethical fashion for all, taking on a direct social responsibility. A conscious and chic lifestyle for Kathleen promotes fair working conditions, sustainable production, and cruelty-free testing and charity, producing a brand that we can feel confident endorsing and seeing as a way to make our fashion statements reflective of the social issues we care most about. Kathleen’s stunningly curated Instagram is devoted to sharing her opinions on sustainable, ethical, and female-empowering fashion. With socially conscious quotes, timely ideas, supplemented by loud and elegant outfits, the fashion influencer has used the platform to spread awareness of women’s issues and labour trafficking. Her site, fashionwithaconscience.org dives fully into ethical and stylish living that confront the issues we battle today and have watched escalating on the news and through media. She provides individual women with an outlet for turning what they put on their body into an artwork that directly speaks to their personal narrative and makes a statement to the world. 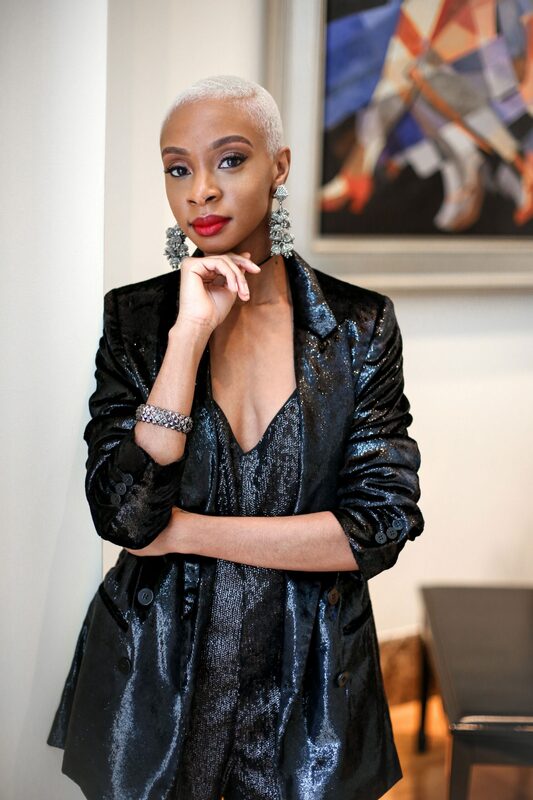 Kathleen’s outfit posts, styling tips, and empowering statements have lead her to be featured in multiple major magazines such as ELLE Canada, ELLE Quebec, Fashion, Toronto Life, Flare, and Essence. 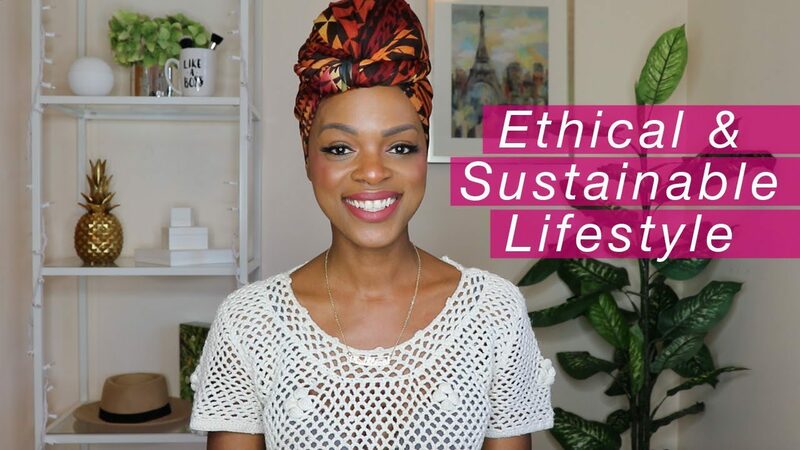 Diving into the beauty guru’s site we love her videos on how to make any fashion closet more ethical, how to tie a turban, and more. Her content speaks to readers of different backgrounds and who care about different issues. We are obsessed with Kathleen’s sustainable style. It has made an impressive mark in the industry and we expect to be learning more from the content creator for years to come. Back in 2016, a savvy PhD candidate conducted a TEDTalk that took the fashion industry by storm: “Why Design Should Include Everyone,” quickly earning more than a million views. Barely grazing 3’5, Sinéad Burke initiated a conversation on why fashion should be made available for people of all different shapes and sizes. Not only should there be more accessibility when it comes to fashion, these designs should also be beautiful. Feeling underrepresented in a world that favors the lean and long-legged, Burke has spoken on behalf of women out there whose bodies have been punished for their uniqueness. To today, Burke has joined several campaigns to work for this cause and has gone on to collaborate with brands including Burberry and Christopher Kane which have both gone on to create tailored pieces that are personalized for Burke’s heigh. These adaptations are adaptable, beautiful and sends a message to the public that beauty does not reside in a magazine printed archetype but in what we, ourselves, make it out to be. Since her early childhood, Sinéad has advocated education and the need to combat ignorance and challenge the status quo. She has utilized writing, public speaking, and engagement with her growing social media audience to critique the ways that fashion has, up till now, turned a blind eye towards people with disability, and offering a new business model that does include thee people in an effortless manner. Her disruption of the fashion industry comes at a crucial time where notions of beauty are being broken down and redefined to be a more inclusive and accessible opportunity that all have a place to discover and explore. 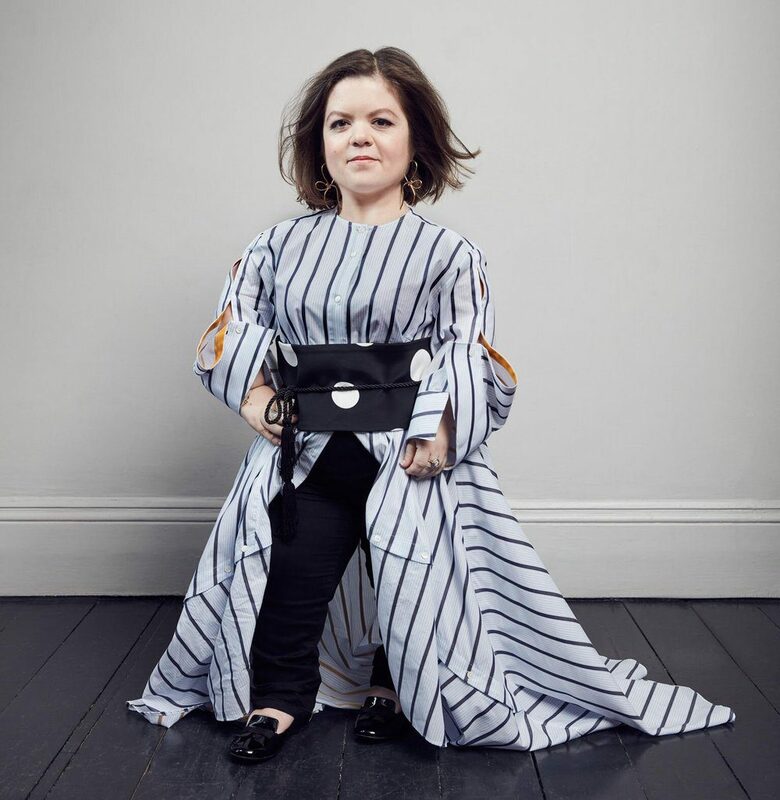 Sinéad has created a space in fashion where design, empowerment, beauty, disability, and empathy can collide, become one, and take fashion to heights that it never before has risen to.